This Bio Gas Enrichment Plant /System is so efficient in acting as your bio gas to bio-CNG conversion plant that one day it would allow you to market “Bio-CNG India” as a brand in the global market. 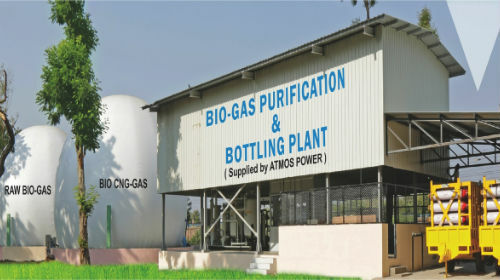 Atmos Power is a leading company in the business of providing products and services for bio gas plants in India. Atmos Power’s bio gas purification division is here to cater to all your needs for setting up of a Bio Gas Purification Plant/Unit. The level of efficiency afforded by our processes transform your plant that purifies Bio Gas To Bio CNG Plant. Our whole range of services includes those for starting and smooth running of your Bio Gas Bottling Plant In India as well. The business of bio gas purification and Biogas Bottling In India is set to become important with the increasing crisis for fuel. We are at the forefront in terms of experience and expertise.